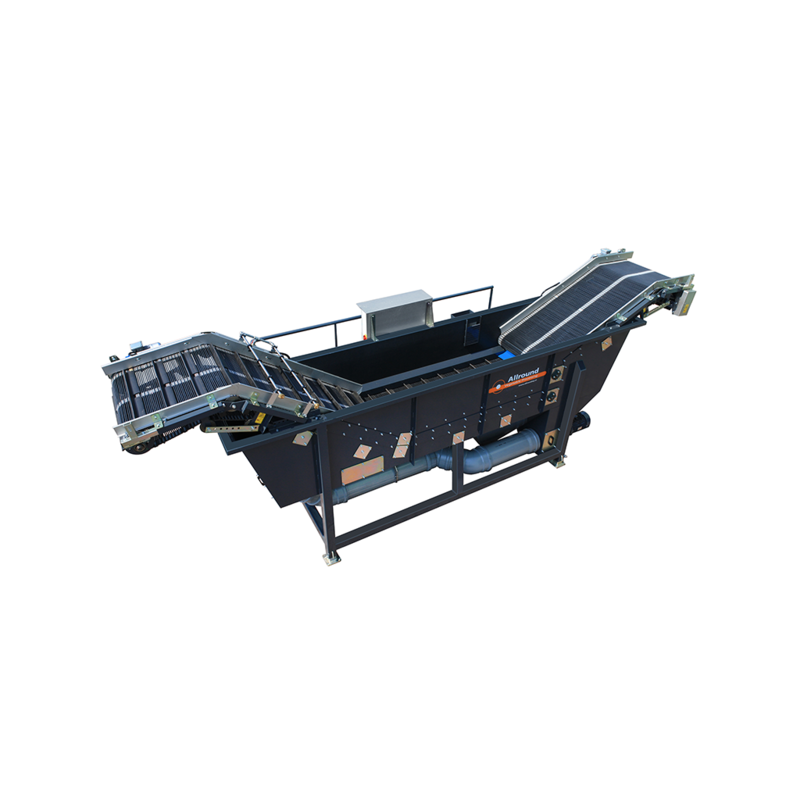 The Allround VP skin separator is designed to remove floating pieces from the produce. This could be for example loose pieces of skin or branches and leafs. 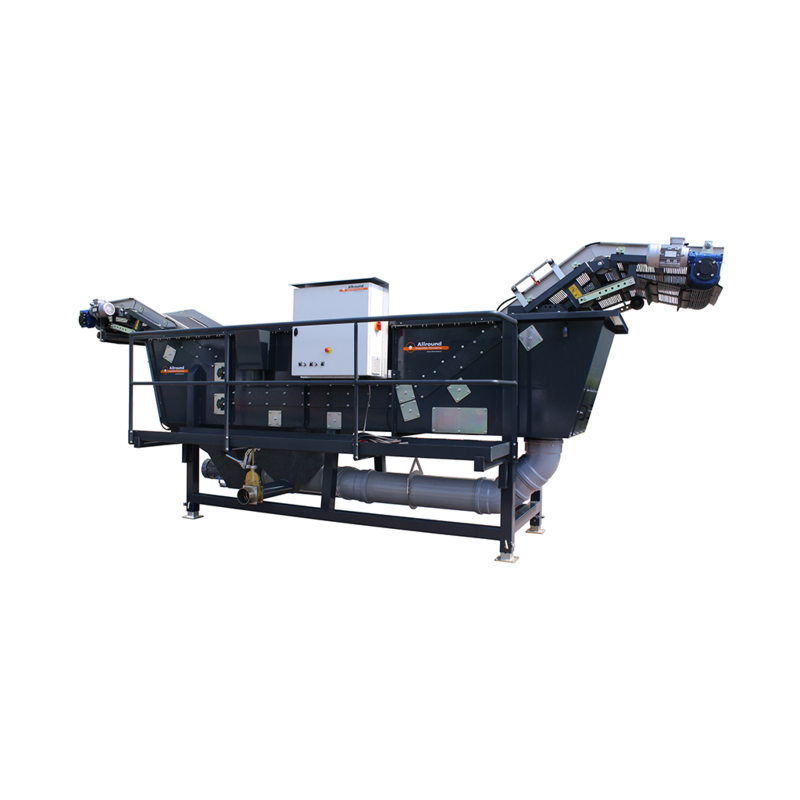 The machine works on the principle that the produce is heavier than the pieces that are to be taken out, and are therefore separated from each other. The separation is made by a floating waste outlet. Furthermore, there is a cleaning hatch at the bottom of the machine, that can be opened and closed when needed. 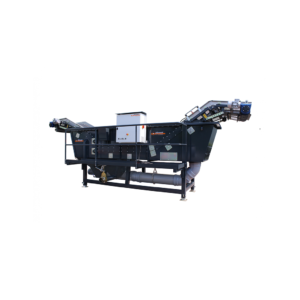 This cleans the machine from any dirt that has sunk to the bottom of the machine. 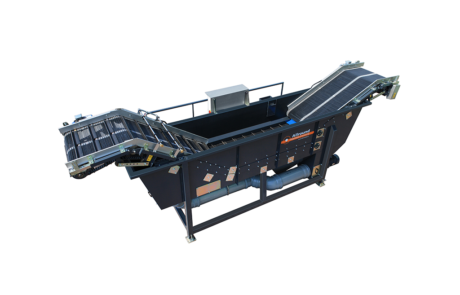 The product is transported out of the machine with a web belt with rubber cleats. This ensures a minimum of water loss in the machine. 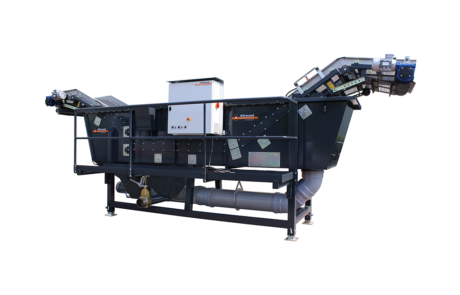 To speed up the process of separation between dirt and produce, Allround VP offers a dirt mill, which transports the dirt to the outlet of the machine.